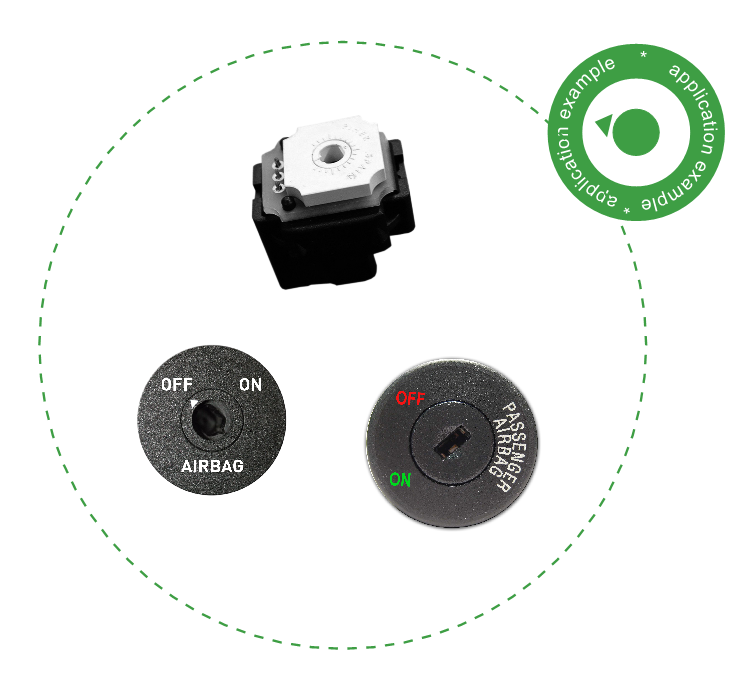 ﻿ Airbag enable-disable switch potentiometer. Even though the vehicle may include an advanced front airbag system that automatically turns the passenger’s front airbag off, all manufacturers offer a manual cutoff system for an additional measure of safety. These manual systems are typically activated or deactivated by turning them using the vehicle´s ignition key. Piher has developed a rotary switch that seamlessly adapts to these systems and reliably actuates the transition between the “on” and “off” states.